Last week I wanted to try out Firebase analytics and push notifications. Soon I realized there is no Unity plugin, so I had to do it the hard way. 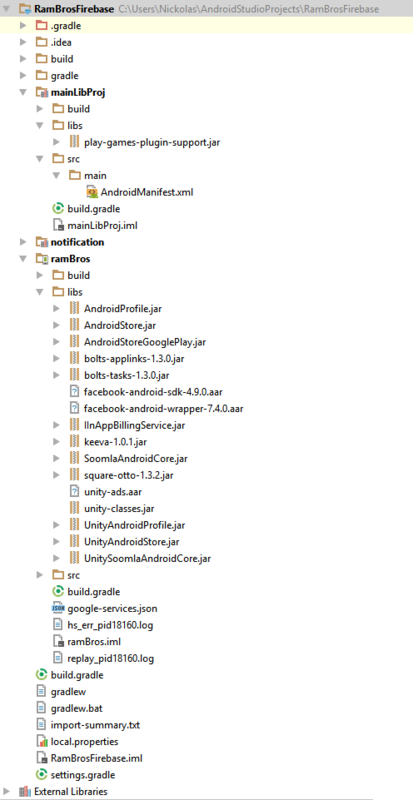 Export Android project from Unity and manually integrate it using Gradle. Most of them include .jar dependencies, that I changed to Gradle dependencies. On “Build Settings” window select “Google Android project” checkbox, and click “Export”. Specify the output folder. AndroidManifest.xml:36: error: Error: No resource found that matches the given name (at 'value' with value '@integer/google_play_services_version'). Note: Android studio will create an Android project with Gradle support in a new folder, you will specify. We only need to manually move AndroidManifest.xml from MainLibProj folder. Soomla ones are not needed. Cut it from MainLibProj of exported folder and paste it under MainLibProj/main/src on the newly created project. <meta-data android:name="com.google.android.gms.version" android:value="@integer/google_play_services_version" /> that was previously deleted on step 1. My game started and then crashed! Problem: Google Play achievements and leaderboards were not working. V/GamesNativeSDK: Received Activity Resume Event. V/GamesNativeSDK: Play Games callback indicates connection failure. 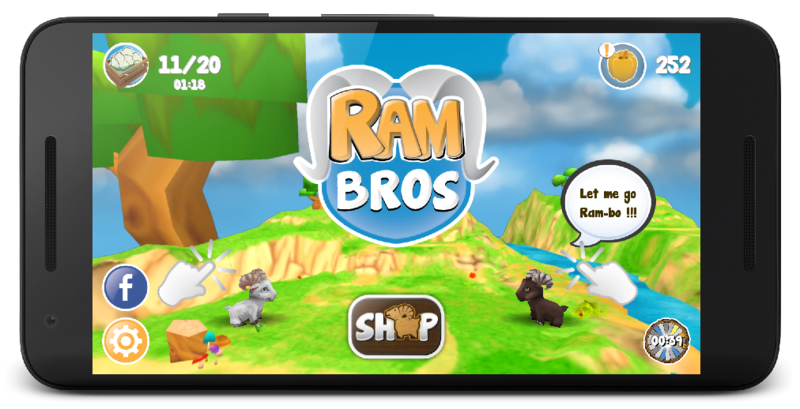 I/GamesNativeSDK: UI interaction required to connect to Google Play. Solution: It was a debug build from Android studio. Switching to release build and signing my app was the solution. Note: Make sure google play services libraries (build.gradle file under MainLibProj folder) are aligned with firebase library. It was a task that included a lot of trial and error… Having your Unity project under Android studio, able to integrate anything you can imagine using powerful Gradle build system, is priceless. 🙂 You can find the final project structure and respective Gradle files attached here or on github.